Snuggle-Pedic Mattress Review - Do You Need a More Breathable Mattress? 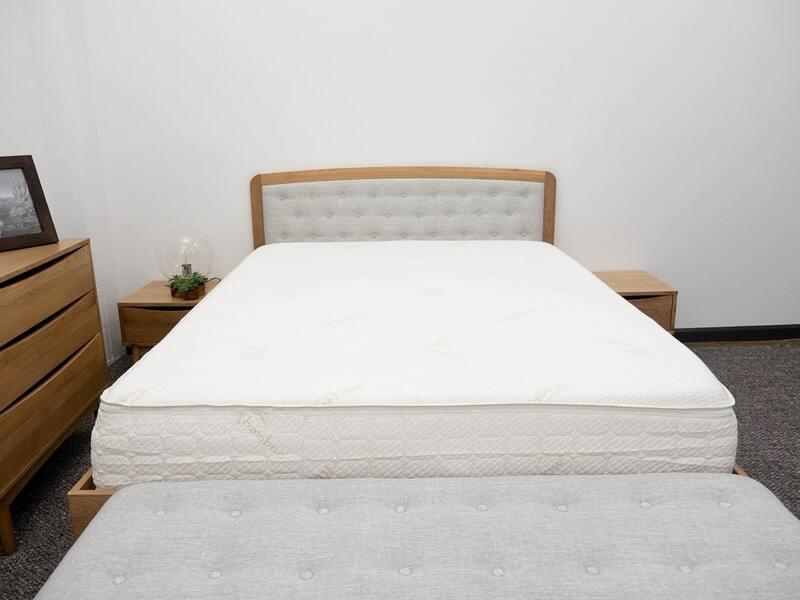 In this review, I’ll be taking a look at the new mattress from Snuggle-Pedic, a company dedicated to helping its customers take charge of their health with better sleep. To do this, the retailer’s infused its namesake bed with ultra-breathable materials, intended to keep things feeling cool all night long. But just how well does the Snuggle-Pedic live up to this aim? I won’t know until I’ve put it to the test, assessing everything from its pressure relief to its motion transfer to figure out if it might just be the bed of your dreams! Continue reading below for my full review of the Snuggle-Pedic mattress. Don’t have time to read it all? Click here to skip to the bottom and check out my review summary. With its special airflow system, the Snuggle-Pedic mattress is ultra-breathable! 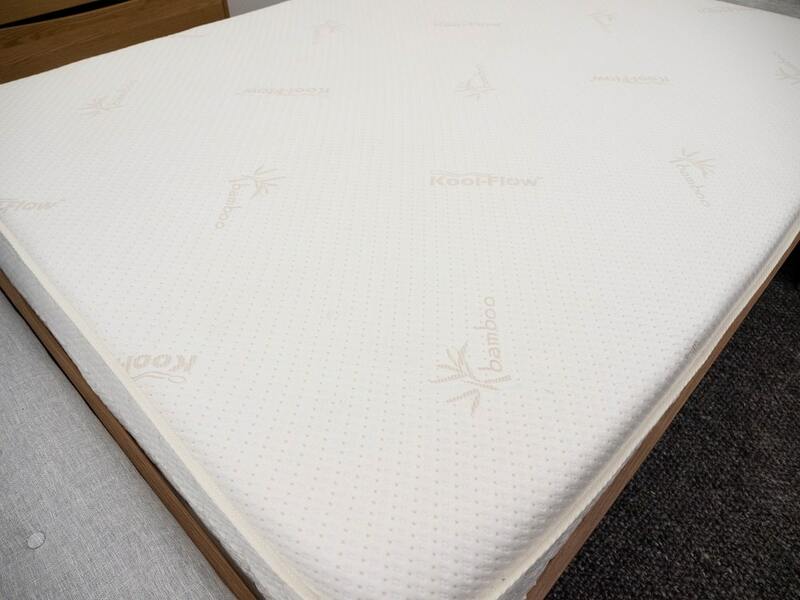 The Snuggle-Pedic is built with two layers of foam, measuring up to a total 10” of comfort. 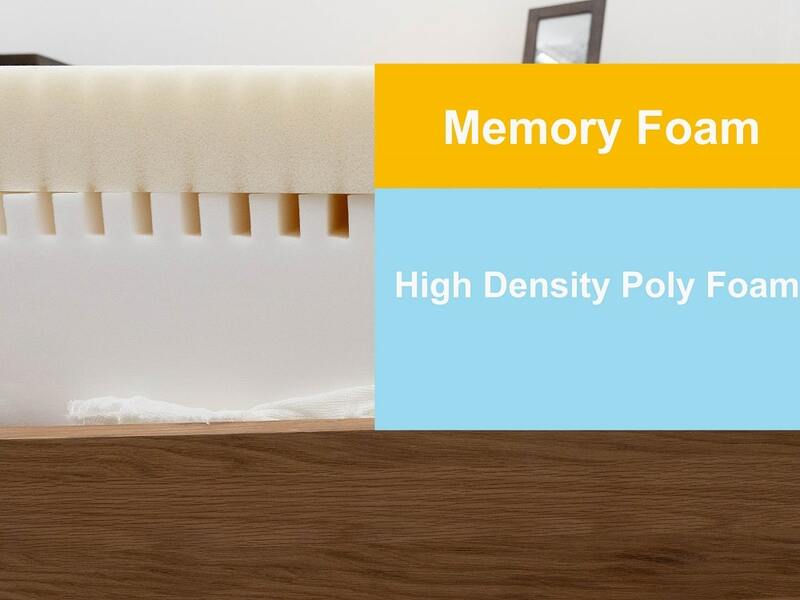 While the construction might seem pretty typical for an all-foam bed, what sets this mattress apart is its special airflow system, composed of an aerated top layer of memory foam and air channels along the poly foam support section. To see how all this comes together, let’s dive into this bed! Cover – The cover is made primarily of bamboo, an eco-friendly material that’s excellent at cooling and wicking moisture away from the body. It’s also soft to the touch and snaps back into place with ease. Comfort Layer – Built with 3” of memory foam, the comfort layer is gentle and has a slow response to pressure. As your body presses in and through this layer, the material’s likely to contour to your shoulders and hips, providing you with some pleasant relief. 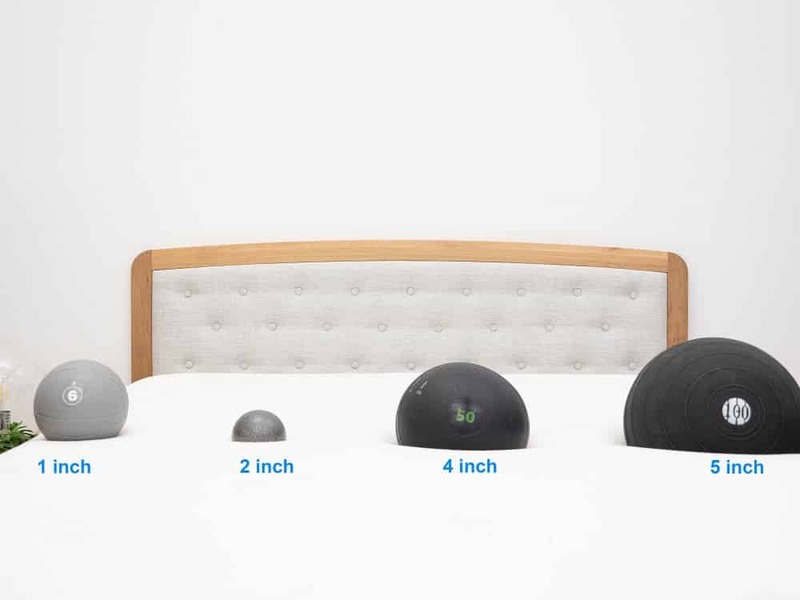 While memory foam has a bit of a reputation for overheating, Snuggle-Pedic has managed to mitigate this by aerating the layer to encourage airflow. Support Layer – Directly below the comfort layer, you’ll find a 7” section of high-density poly foam. This layer acts as the foundation of the mattress, giving it its shape and durability. An interesting feature of this section is the series of grooves that run across its surface, which work in tandem with the aerated comfort layer and micro-vented cover to create the bed’s breathable AirFlow Transfer system. 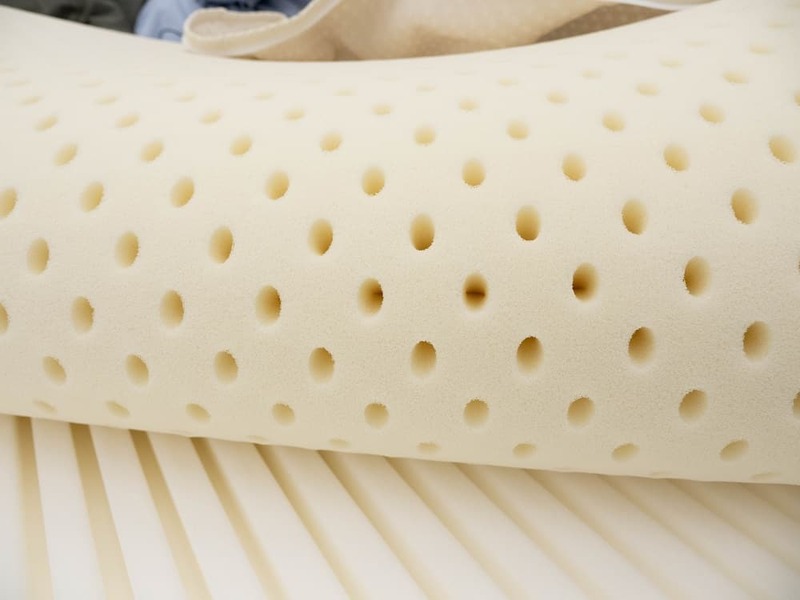 Snuggle-Pedic claims that this system imbues its mattress with 100 times more airflow than other all-foam mattresses, helping to reduce body heat build-up throughout the structure. After taking a look at the construction of the Snuggle-Pedic, let’s chat about the firmness and feel. I started off by applying light hand pressure to the mattress and found that I was immediately interacting with the gentle memory foam top layer. The material contoured around my hand, providing me with some satisfying relief. Pressing in further, I encountered the firm foundation, which lifted me out of the bed. Since folks of varying shapes and sizes tend to feel firmness differently, I decided to bring in three other testers to help me figure out how firm the Snuggle-Pedic is. To do this, we each took a turn lying on the bed, gave it a personal firmness rating and then compiled them on the graph below. 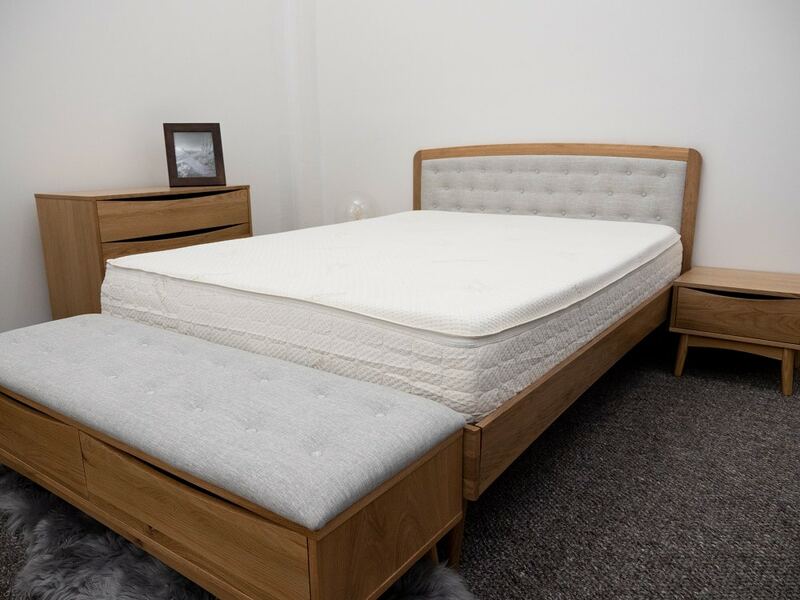 While feel is always going to be an individual thing, our responses should give you a good sense of the firmness range you can expect from the mattress. As you can see in the graph, our responses to the Snuggle-Pedic were all over the place, averaging out to a 6.5, which syncs up with the industry standard for medium firmness. I personally gave the mattress a 5.5, finding it to have a pretty soft feel. The variance you see above mostly has to do with how different sleepers respond to memory foam, especially with such a thick layer of the stuff up top. While this material has an initial firmness, once it contours to the body, it generally gives way to a softer feel. That’s not to say any of our testers gave the “wrong” read here, but just to reiterate that different sized folks will react to beds in distinct ways. Looking for a memory foam mattress? Check out our top picks! Another important component of a bed’s feel is its pressure, or more specifically where pressure points are going to form while lying on top of it. To illustrate where these tension spots might crop up on the Snuggle-Pedic, I placed a pressure map on top of the mattress and lied on my back, side and stomach. You can see the results on the image below where pressure is represented from blue (low pressure) to red (high pressure). Back – Lying on my back, I could really feel myself sinking into the mattress. The memory foam did an excellent job of filling in the space at my lower back, bringing me some wonderful pressure relief t my lumbar region. I would note that while the contouring provided me with some nice comfort in this position, it did make it kind of hard to move around. Edge Support – Scooting as close to the edge of the bed as I could, I detected some deep compression through the foam layers. While this is to be expected from a bed like this, the lack of strong support at the edge is something to note, especially for couples who will need to use the entire surface area of the mattress. Side – Rolling onto my side, I felt some awesome pressure relief as the memory foam contoured to my shoulders and hips. 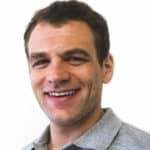 Strict side sleepers tend to prefer softer beds as they cushion those sensitive areas, so I think the Snuggle-Pedic could be a fantastic option for those who doze primarily on their sides. 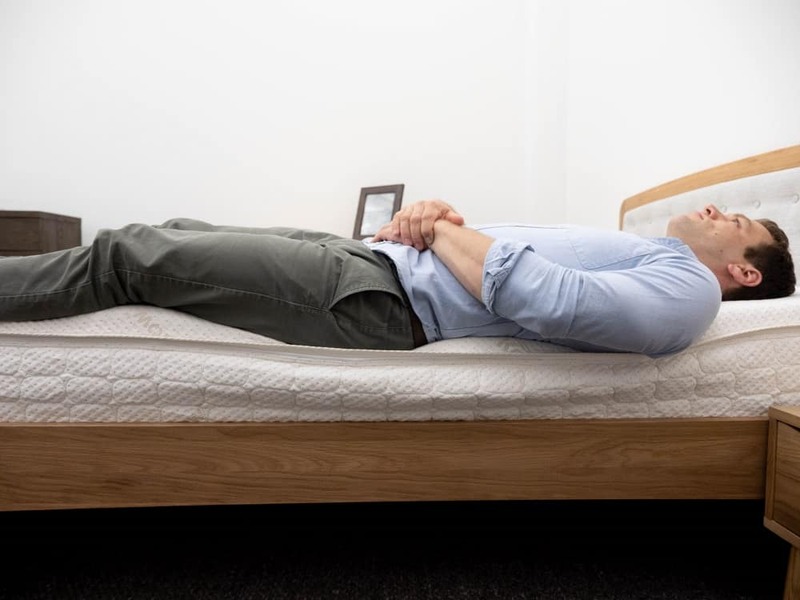 Stomach – Though the memory foam does wonders for side sleepers, the same can’t necessarily be said for stomach sleepers who need a firmer bed to keep the spine in a nice alignment. Here, I could feel my hips sinking out of line with my shoulders, resulting in a bit of discomfort. 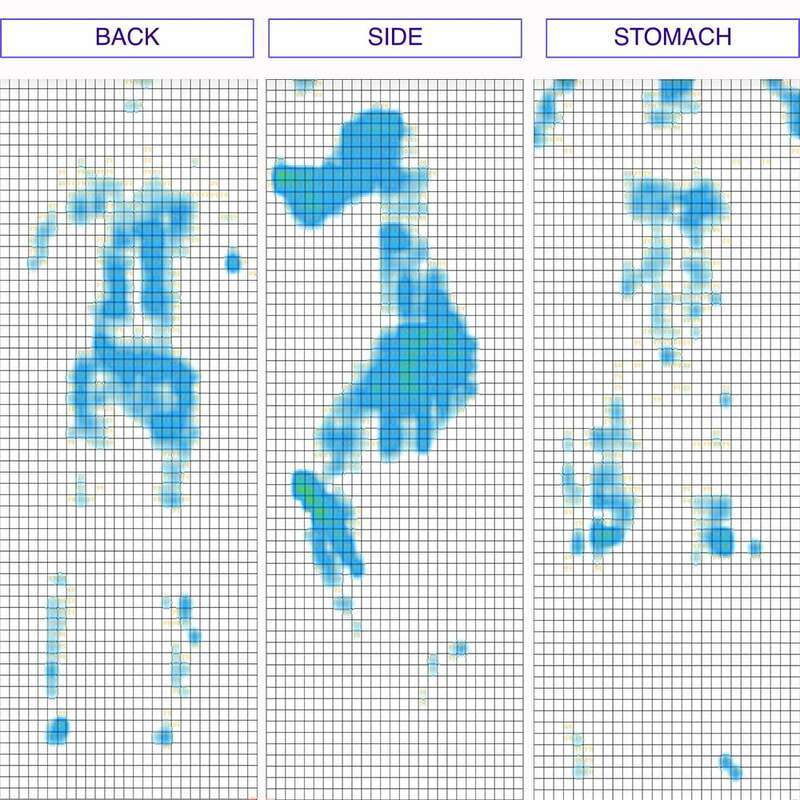 These are super solid motion transfer results! The thick memory foam comfort layer is the real hero here as it actively works to absorb and contain motion. What this indicates is that you’re not likely to be too disturbed by your partner’s movements in the night. And finally, let’s chat about sinkage. This section is intended to demonstrate whether or not someone is going to feel as though they’re sinking “into” their bed or lying “on top” of it. Considering how I experienced the bed throughout the review, I’m honestly surprised by these results, which are lower than I expected. 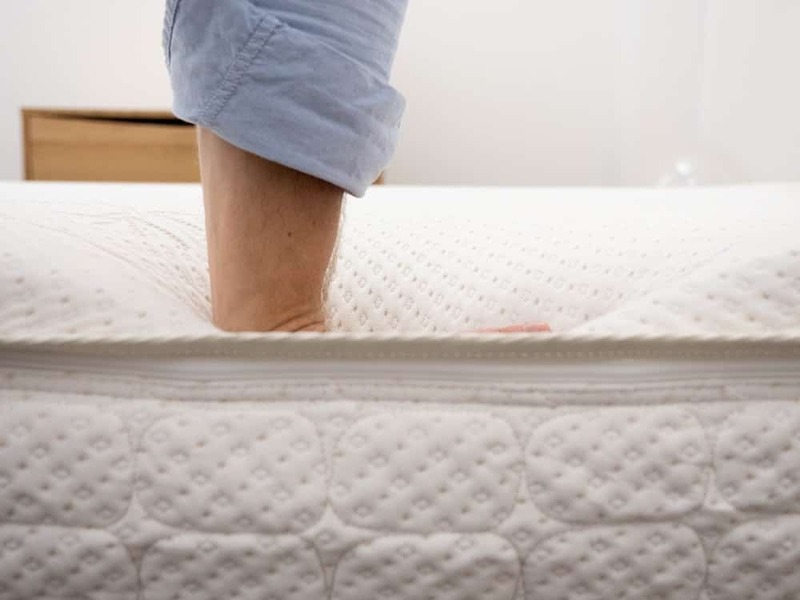 While you’re likely to sink in deeply through the memory foam top layer, the high-density poly foam foundation works to curb this. That being said, there’s still a lot of sinkage here, which means you’re likely to feel more “in” the bed than “on top” of it. If you’re convinced the Snuggle-Pedic is the right mattress for you, the size and pricing information for the mattress are below. Please note that these prices reflect standard pricing, but coupons are often available. IS THE SNUGGLE-PEDIC MATTRESS RIGHT FOR YOU? With its special airflow system, one of the standout pros of this bed is its breathability, which could be great if you tend to sleep hot! 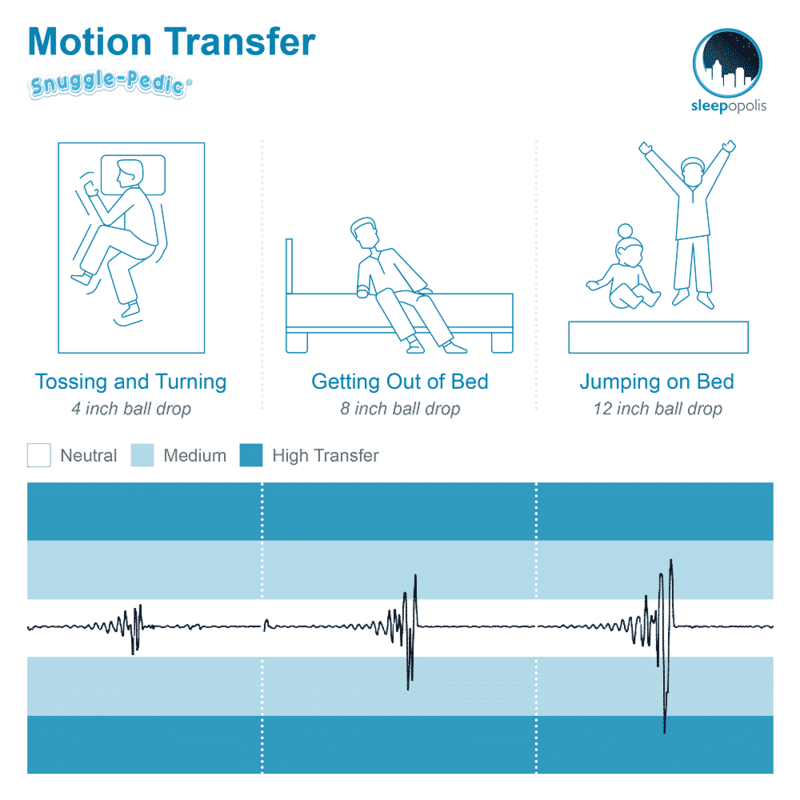 Another fantastic feature is its low motion transfer, a trait that could be especially attractive to couples. I think this bed could also be an awesome pick for side sleepers as its thick layer of memory foam up top provides pleasant contouring to the shoulders and hips. While great for side sleepers, the memory foam isn’t going to be a big selling point for stomach sleepers, who tend to prefer a firmer structure. 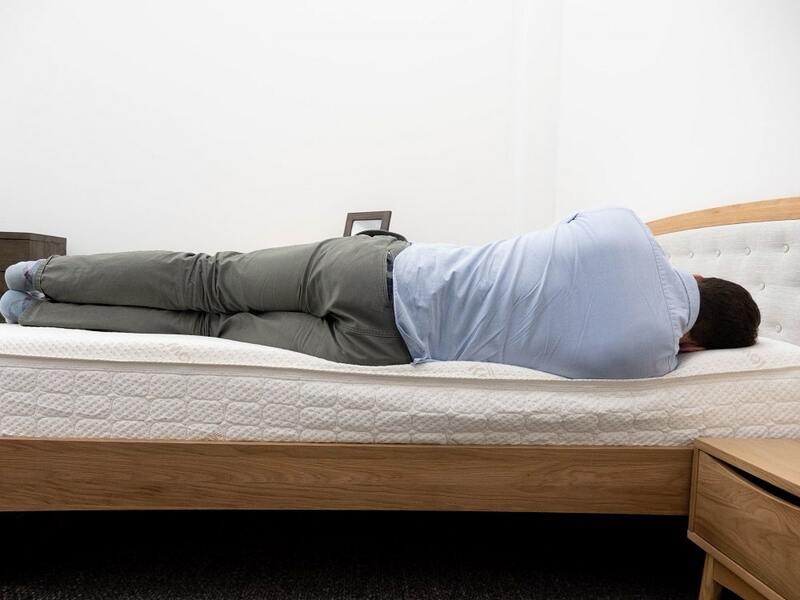 I also wouldn’t recommend this bed for heavier sleepers, who aren’t likely to get the support they need from the simple, two-layer construction. Buy your Snuggle-Pedic mattress on Amazon!